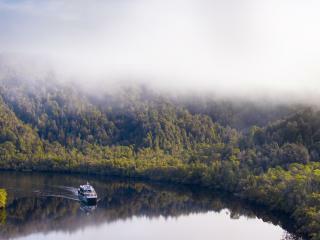 One of Tasmania's most popular tours, the Gordon River Cruises from Strahan are renowned for their stunning journey from Macquarie Harbour all the way through Hells Gates to the edge of the Southern Ocean, Sarah Island, convict ruins and the spectacular natural environment of Heritage Landing aboard Spirit of the Wild. Tasmania is home to some of the most rugged and beautiful coastline in Australia. When you book to cruise with Coral Expeditions on their 7 day Hobart to Hobart cruise, you will experience first hand the wild beauty and historical significance found on the Apple Isle of Tasmania. 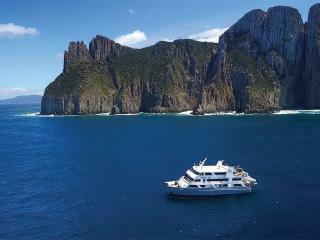 With the comforts of a larger vessel, Coral Expedition I is small & intimate. Relax, unwind and take in the breath taking scenery whilst enjoying some of the regions finest produce.